With the application of some really cool science (that goes WAY over my head) it is now possible to drill very deep holes – even small diameter holes – without the need for pecking cycles…and in half the cycle time. Although this technology doesn’t apply solely to hole drilling, it seems to be an area with the biggest impact. By introducing a controlled oscillation of the tool tip, Modulation Assisted Machining (MAM) has been successfully integrated into machining processes of all types - and is particularly helpful when cutting or drilling some of the more difficult to machine materials that are found in many of today’s ultra-precision, high performance components. This modulation is administered by the use of electronic frequencies, and controlled by a separate stand-alone device that connects directly to the tool body itself. Due to the unprecedented chip control, MAM can also increase tool life up to 10 times that of traditional machining methods, and can allow for increases in feedrates up to 5 times over traditional methods…while also providing significantly improved surface finishes during the drilling operation. In the conventional drilling process the cutting edge is fully engaged for the entire duration and distance of the cut, which can require a high-pressure coolant option to help break-up and evacuate the chips. The oscillation of the tool during MAM means the cutting edge is intermittently disengaged from the cut 100’s of times per second. The stand alone unit provides the operator a method of precisely controlling the chip in a way that insures that every chip is consistent in both shape and size – and eliminates the long stringy chips produced by the traditional drilling process. These resulting smaller chips can flow very easily out of even the smallest and deepest of drilled holes, and will resist binding in the hole during the process – which could easily break the drill. 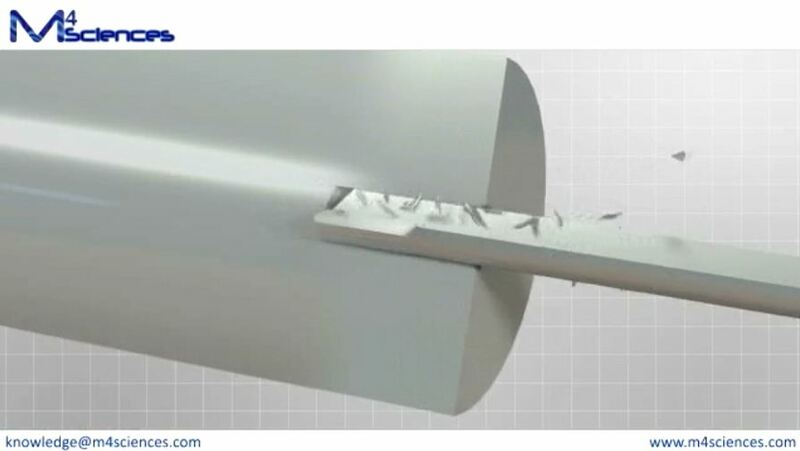 This intermittent engagement of the cutting tip is what allows for the elimination of the pecking cycle, and will also allow for a more consistent coolant flow to the cutting edge of the drill using standard coolant pressures.